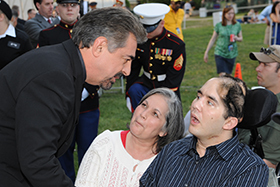 Joe Mantegna shares a letter submitted to the Wall of Remembrance. 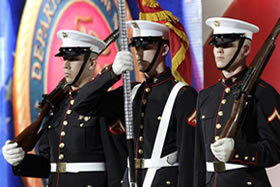 Each year viewers send thousands of letters and emails in honor of loved ones and friends who have been wounded or died in one of America’s conflicts. Your contributions are a central part of the Memorial Day narrative, honoring the sacrifice of our brave service members in uniform. We encourage you to share your stories here, on our Wall of Remembrance, where we can grieve together as we pay tribute to the lives and legacies of those we’ve lost. 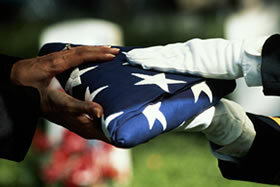 Click on a link above to submit a remembrance of your own or to read moving remembrances submitted by others. 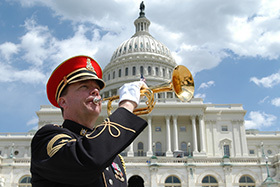 Around Veterans Day, Capital Concerts holds solemn ceremonies at national memorials in Washington, D.C., delivering printed versions of the submissions to the Wall of Remembrance to the appropriate site. We visit the World War II Memorial, Korean War Veterans Memorial, Vietnam Veterans Memorial and Arlington National Cemetery (for the fallen buried there and for those who have fallen in the conflicts in Iraq and Afghanistan). In these quiet moments we recognize all those who have been remembered in these pages. If you do not want to post your remembrance on this website but would like it placed at a memorial, please email your submission to remembrance@capitalconcerts.org. 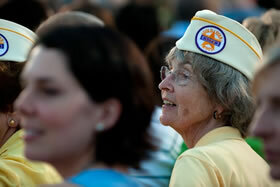 View images from previous concerts. 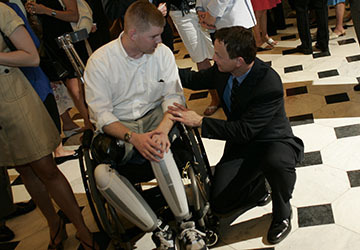 Support those who have sacrificed. 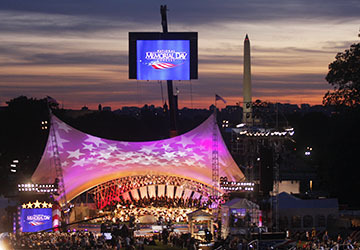 The National Memorial Day Concert is sponsored by Lockheed Martin Corporation and made possible by the National Park Service, the Corporation for Public Broadcasting, the Department of the Army, General Dynamics and public television stations nationwide. All travel is provided by American Airlines.